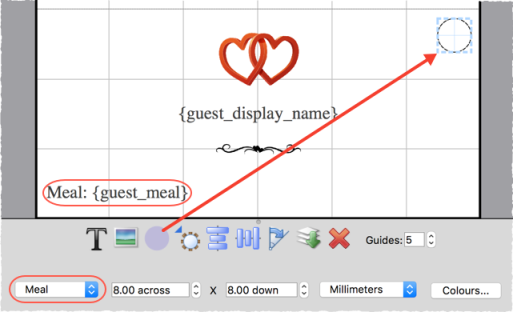 You can record guest meal selections in the Meal field of the Guest properties window. If you have multiple courses you can separate them by commas. If guests have allergies or other special dietary requirements you can record this in the Special requirements field. 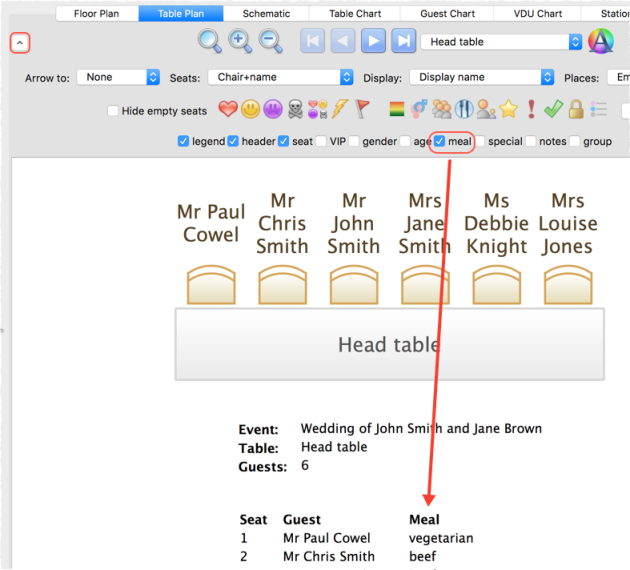 Meal selection can be displayed in the Floor Plan, Table Plan, Table Chart, Guest Chart, Stationery and Report panes. You can change the colours used in the Visualization colours window. You can add coloured spots representing meal choices to place cards and other stationery. 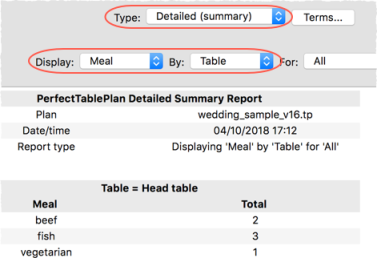 You can report meal by table, group or other property in the Report pane.